Progressive jackpots, free spins and Koi carp must mean we’re off east again in the company of Fortune Charm, an online slot machine from Red Tiger Gaming – find out what’s in store below! Fortune Charm is a five reel slot with three rows and two hundred and forty three ways to win which means that there’s no payline structure, wins are formed as long as there are matching symbols in adjacent rows starting from the left hand side. 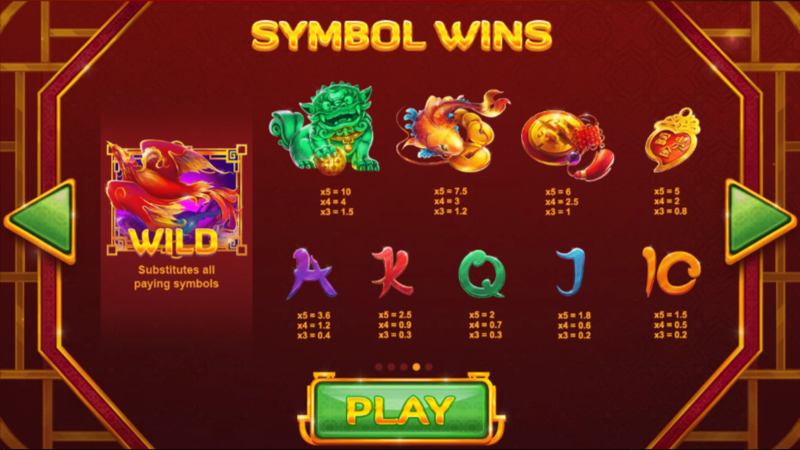 The higher value symbols include a jade dragon, the aforementioned Koi, some sort of golden charm and a gold ornament; 10, J, Q, K and A make up the lower values. 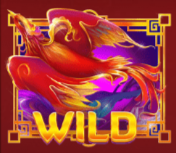 The wild is a soaring phoenix which will substitute for all others to help form winning combos except for the dragon free spins symbol. 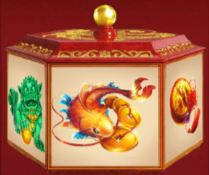 One or more of the Fortune Charm boxes may spin on to the reels at any point and as it slows down it will transform into a high value symbol, a wild, a free spins symbol or a multiplier of up to 5x. 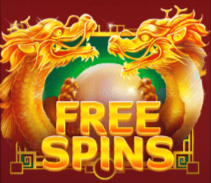 This is triggered by landing three or more of the free spin dragons anywhere in view; you’ll now get to spin a wheel which will determine the number of spins awarded – five up to one hundred. The Fortune Charm boxes are active here and when one appears it will stay and keep awarding goodies on each spin with the possibility of awarding one extra spin during the reveal. It’s possible to end up with several boxes on the reels as you can see from the video above. This is triggered from the base game by landing three of the jackpot symbols which will either award the Mega or Mini prizes shown to the left of the reels. There’s also a Daily Jackpot which must pay out before the time shown. Fortune Charms is one of the more action-packed slots from Red Tiger and it’s one of our favourites as well; the Fortune Charm box is the main attraction but the free spins and the progressive jackpot add to an entertaining mix also. There’s an RTP of 96.24%.